Lambeth Fireworks and Westworth Kemp have announced this year's firework display at Brockwell Park, and it's set to be a spectacular event for all who attend. This year's theme, A Night at the Movies, will spring to life during the 20-minute firework extravaganza, and will consist of a soundtrack from a variety of some of the best-loved classic movies. The event will take place on Saturday 4th November 2017 at 5pm, with the firework display starting at 8pm. But it's not just fireworks. Expect an impressive range of street food traders (you won't go hungry), funfair rides, stalls bearing drinks, live music, and more besides. There is also a Premier Viewing Experience option for those who want to make the most of the fun and entertainment. If you're interested in paying the event a visit, guests are encouraged to purchase their tickets in advance to avoid disappointment as capacity is limited. Considered one of London's best firework displays, this event is not to be missed. Tickets can be bought HERE. But the fireworks event in Brockwell Park is not the only event to take place on Saturday 4th November 2017. Battersea Park Fireworks also promises to be an evening to remember. This year's theme is 'power', and Jubilee Fireworks will be hosting the display, so expect great things. Gates open at 6pm and there will be pre-fireworks entertainment, a bonfire, food and drink, before the firework display starts at 8pm. 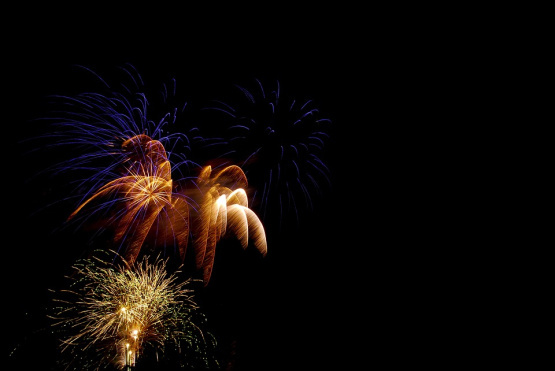 To find out more about Battersea Park Fireworks and to buy tickets, click HERE.